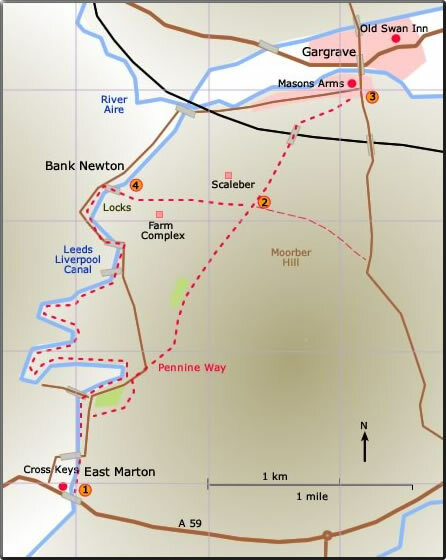 Whilst this area does not belong to the Forest of Bowland it is so close by to warrant an inclusion. Nevertheless even so the rolling hills of Craven are worth a visit. The walk itself is relatively easy. 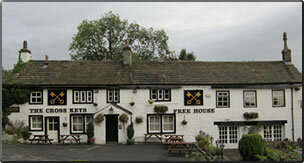 From East Marton to Gargrave over beautiful open countryside it follows the Pennine Way. 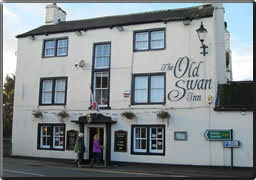 The return trip mainly follows the Leeds & Liverpool Canal. At 6.76 miles this is a little longer than intended for a short walk but the going is relatively easy. 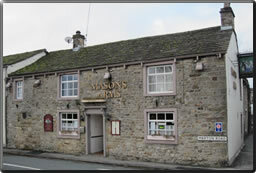 The Masons Arms and The Old Swan Inn are found in Gargrave, and The Cross Keys in East Marton.